I’ve been visiting this estate for many years, tasting their wines for even more than that, and yet it’s only in the most recent years that I’ve come to know the family – deeply passionate winegrowers, and warm, caring people, as well. 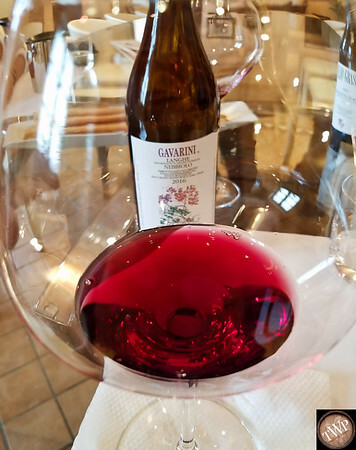 My most recent visit, on 9 June, 2017, was toward the end of my latest three month tour of Italia, which coincidentally, began with three weeks in Piemonte. From there I trekked south to Apulia, visited a dozen regions in between, and then it was back to Piemonte, to finish my final three weeks in Langhe; an opportunity to meet with many of my favorite winegrowers at their homes/cellars, outside of the chaos of wine fairs, etc. It was during this period that I met Elio, he just having finished some work in the vineyards, I just having finished a lovely visit with Marina and Roberto. As Roberto prepared some wines I had purchased, I walked over to introduce myself to Elio: in an instant I was reminded of what Francesca Vaira had uttered to me years ago, “the eyes are the window into the soul”. If Elio’s eyes had a message for me, that message was confirmed by a smile that was equally as energetic and bright as his eyes. As I shook Elio’s hand, words pretty much failed me, though I recall being able to utter “I’m glad to know you, sir”, though I’m not sure the words ever transferred from my brain to my mouth. I was in front of a living legend, a man whose work I’d been enjoying for half of my life. These days, Elio’s still working in the vineyards, as he’s done for decades, though the bulk of the work in the cellars is in the hands of Gianluca, Elio’s son. During this particular visit, prior to Elio’s arrival, I sat down for an hour and talked with Elio’s wife, Marina, and Roberto, a long-time friend of the family that helps with guests/visitors. 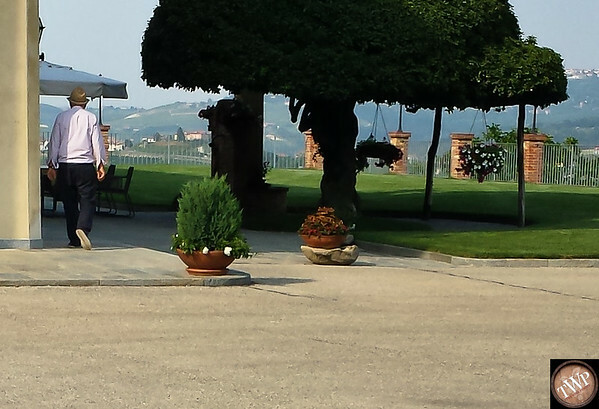 We talked about the industry, how we’ve all seen the change that Langhe has undergone in the past few decades, etc., and then we began the tasting as there was a group arriving for the final appointment at 5:00pm. 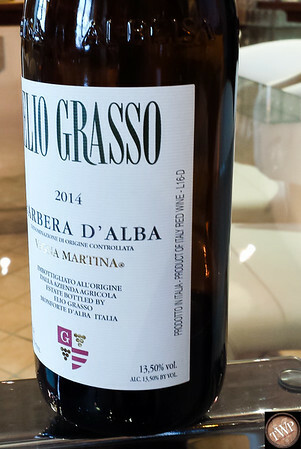 The next wine is the currently released 2014 Elio Grasso Barbera d’Alba Vigna Martina (NR) It’s been a long time since I had a wine from this address that I just didn’t care for. A long time; so long I don’t remember anymore. That said, I did not care for this, finding a lack of freshness on the palate and nose, and a muddled middle with stewed fruit and raspy edges tinged with black fruit and dusty soil. Perhaps this was an off bottle, but I doubt it since it was the one being poured at the winery. Maybe it’s just bottle variation (winery bottle notwithstanding), but if in fact it’s representative of the vintage, then this is an easy pass. 13,5% abv. Now or in the next few years. Following the Langhe Nebbiolo are the two Barolo wines, Chiniera and Casa Maté. The grapes for Casa Maté come from a 3 hectare parcel in the Barolo sub-zone of Monforte d’Alba. The exposure here is ideal, or south-facing, and the vines average ~ 40 years; the vineyard was planted in 1978. 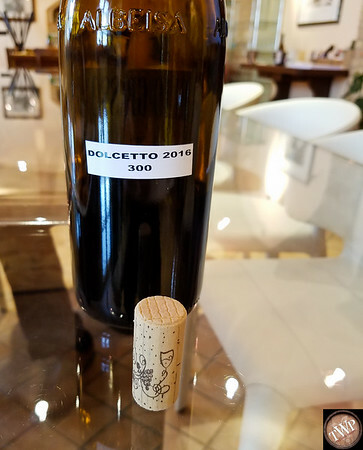 After completing malolactic fermentation in stainless steel tanks, the wine is moved to 25 hectoliter (hl) botti (large casks) where they rest for several years prior to bottling, and ultimately some rest in the bottle prior to release. After I left the tasting appointment, I spent some time just outside the front gates, looking at the soil surrounding estate. 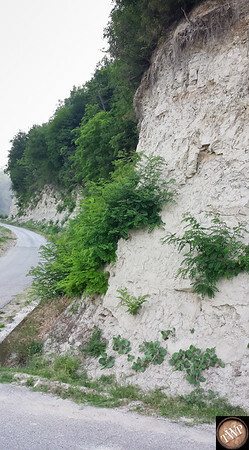 Only a hundred meters from the cellars is an exposed hillside that illustrates what’s underneath the vines, if you will (below). 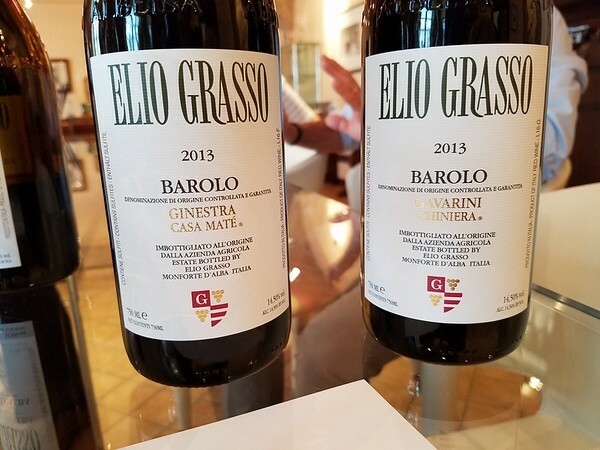 The wines of Elio Grasso have, in my opinion, seen a steady increase in quality in the past years. This is saying a lot, as the wines were already quite good; now, I feel they can rival the top wines at and/or above their current prices from anywhere in the world. 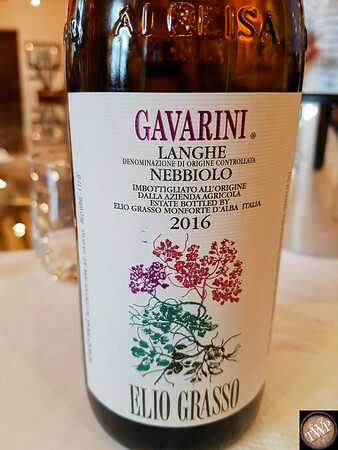 For my palate, a sub-$100 Burgundy (generally speaking, there may be some exceptions) takes a back seat to the quality and overall satisfaction that the Elio Grasso Barolo wines can and do deliver. The above, I suppose, can be seen as commentary on the current price-to-quality (shortcomings?) equation for Burgundy’s reds, but I hope it’s taken less as a commentary on Burgundy’s supply/demand issues, and more as a commentary on just how much value today’s Elio Grasso Barolo wines are delivering, or over-delivering, as it were. 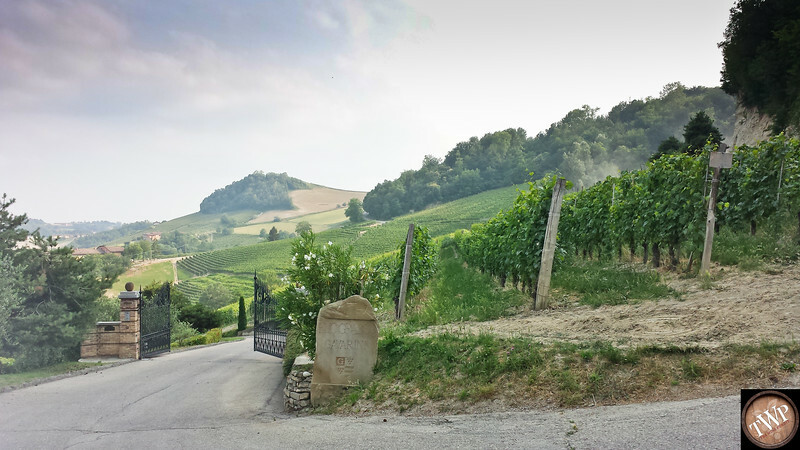 The rosé wines of Alto Piemonte – 8 you’ll want to buy!